We are a Jewish community of full and part-time residents from diverse Jewish backgrounds and perspectives. Together, we've created an inclusive, unaffiliated congregation where all can participate equally in Jewish rituals, learning, community and social action. As a community, we carry on the tradition of simplicity and modesty in keeping with rural synagogues of the past.Our synagogue is an historic building in the hamlet of Chatham Center, but we also make use of the wider community, scheduling events at local cultural venues. We believe in equality at the Bimah, in Torah study where questions and discussion are welcome, in maintaining the tradition of Hebrew as part of our service, and in the prerogative of people to find a personal relationship with Jewish heritage, culture, and spirituality. For a more detail explanation of our underlying vision, please read our Mission Statement. Just before the New Year begins, members can take part in a special Challah-making class. 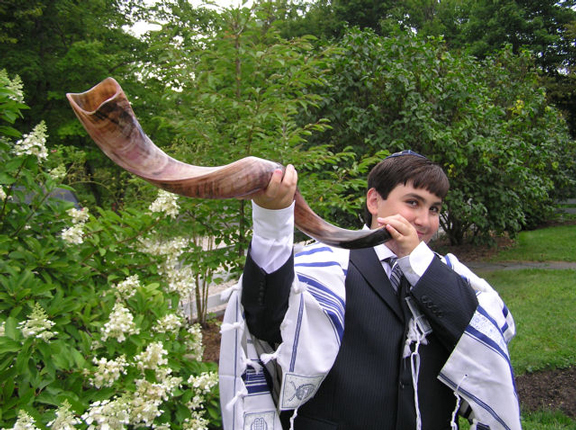 When the shofar sounds, we renew the oldest of our traditions and send the sound out into the valley. Flowing just outside our synagogue is the Kinderhook Creek, into which we cast our bread as the New Year begins. Building the Sukkah in our backyard allows every member of the congregation--young and old--to join in the fun. Everyone can bring their own family menorah to our holiday service and send that special light into the night. Members of the congregation add their dramatic talents to the retelling of the story of Esther. Adults get into the spirit of the holiday to the delight of everyone. Rabbi Or Rose places the mezuzah on the doorpost of our newly-dedicated synagogue. Shabbat services end with the whole congregation blessing and sharing Challah and wine. 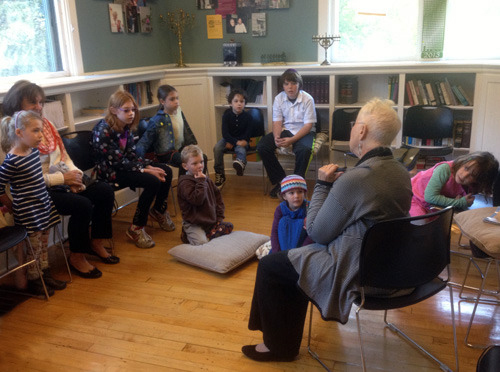 Children's services at our synagogue often feature storytelling by members of the congregation. Children have a special place at our Purim celebrations. At a local interfaith gathering, Chatham Synagogue members took part in a special Yom HaShoah commemoration which included a staged reading of testimonies, poems, and songs memorializing the Holocaust. A fundraising yard sale at our synagogue brings shoppers from all over the county. Live musical events, such as this Spuyten Duyvil performance, are just some of the cultural offerings now possible with our expanded building. Before the drywall went up to close in the frame of our new addition, synagogue members and friends tacked their written hopes, wishes, poems, and blessings to be sealed inside the walls. Our mostly member-led services allow for a lot of participation and discussion. Chatham Synagogue members take part in one-of-kind field trips, such this visit to a private collection of vintage Yiddish signs. 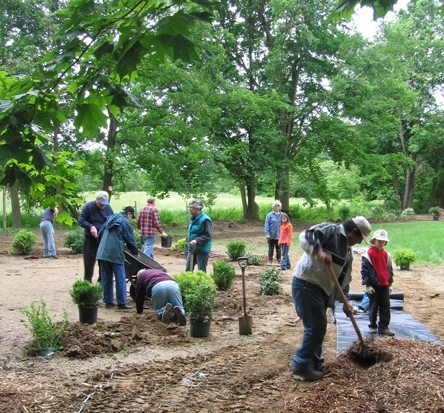 Everyone pitches in to help create a beautiful backyard at the synagogue. Using handmade dough and an outdoor wood-burning oven, members make matzoh in the biblical tradition. In collaboration with Kids Need Music, a community fund to purchase instruments for public school children in Columbia County, synagogue members have raised much-needed funds for school instruments. The congregation was involved in every step of creating our new expanded space. A beautiful Tu B'Shevat seder celebrates the wonder and value of trees. In good weather, members enjoy the grounds of the synagogue after services and celebrations. 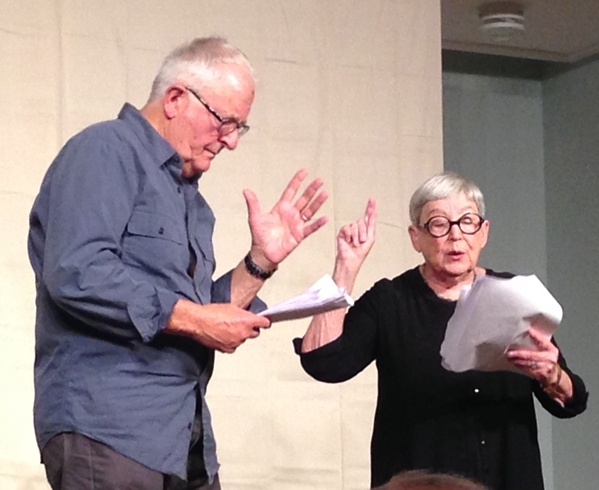 To share the talents of our diverse congregation, the synagogue hosts special community events, such as this reading of a play in development by our members. Handmade hamantaschen at our Purim party goes way beyond prune, mohn and apricot. Member-led services always include music and song. Celebrations of Bar and Bat Mitzvah and conversions are treasured community moments in the life of our synagogue. Synagogue members collect bicycles to donate to ReEntry Columbia, whose mission is to provide support to current and formerly incarcerated individuals and their families. At special events, our table is always bountiful.